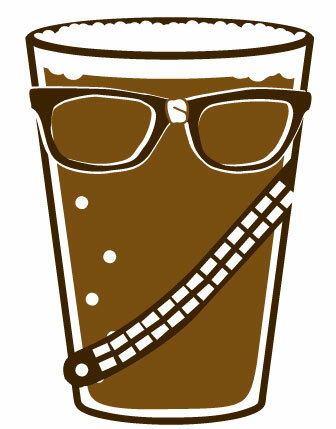 When planning the #pdxbeergeeks second anniversary, we wanted to do something different. We didn't want to do another beer event, so we decided to do a family friendly geeky event. 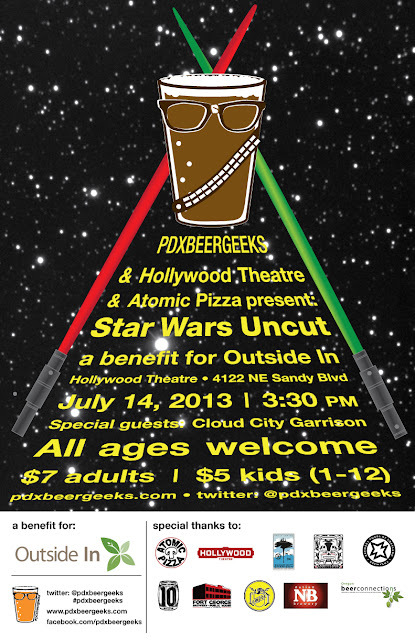 We've partnered with the Historic Hollywood Theatre and Atomic Pizza to do a one time showing of the fan mashup of the original Star Wars movies, Star Wars Uncut. A portion of door sales, and ALL beer sales from Atomic Pizza on the day of the event will be donated to local charity Outside In. As an added bonus, we've been working with the local 501st Legion Cloud City Garrison and Kashyyyk Base to have volunteers appearing as film-authentic Star Wars characters prior to the 3:30 pm showing. Seating is limited, and we anticipate this event will sell out! We will post a link once advance online ticket sales are available. Special thanks to The Hollywood Theatre, Atomic Pizza, the Cloud City Garrison and Kashyyyk Base, 10 Barrel Brewing, Lompoc Brewing, Fort George, Natian Brewing, Outside In, and you! We wouldn't be able to do this without the incredible support of the beer community, and you, our friends. Thank you! Star Wars Uncut - Star Wars Uncut is a crazy fan mashup remake of the original Star Wars movies. It is the brainchild of Casey Pugh, a developer dedicated to creating interactive experiences on the web. In 2009, Casey was inspired to use the Internet and an ever-ready pool of passionate Star Wars fans to crowd source the classic film Star Wars IV: A New Hope. This pet project turned into a labor of love and creativity on a large scale. Nearly a thousand fans came together to participate and the resulting movie is equal parts fun, kooky, and dearly nostalgic. Outside In - Outside In began in 1968, and we have continually revised our Homeless Youth Services and Medical Services to meet changing community needs. Our mission is to help homeless youth and other marginalized people move towards improved health and self-sufficiency. If you have been to any beer events around Portland, you've probably seen a film crew shooting on location. This crew is our friends at Beer Traveler TV. Lead by Charlie Herrin, this talented team is working hard to educate people about the incredible beer scene this region has to offer. Now, The Beer Traveler is looking for some help to take their project to the next level. ESCONDIDO, CA (June 17, 2013) – Today, Stone Brewing Co. released Stone RuinTen IPA, a re-brew of 2012’s infamous Stone Ruination Tenth Anniversary IPA. The triple IPA was embraced by fans and Team Stone alike, which prompted Stone Co-founders Greg Koch and Steve Wagner to add the intensely aromatic and unabashedly bitter brew to the Stone special release calendar this year. With Portland Beer Week behind us, it's time to focus on one of our favorite festivals of the year. With the incredible motto of, "Where we encourage you to Drink Organic, Save the Planet, One Beer at a Time!" Something we can truly stand behind. From press release - An eclectic mix of more than 15,000 beer lovers, music fans and supporters of sustainable living annually come together the last weekend of June to “Drink Organic, Save the Planet, One Beer at a Time” at the North American Organic Brewers Festival. The 9th annual event will take place June 27th through 30th at Overlook Park in North Portland. 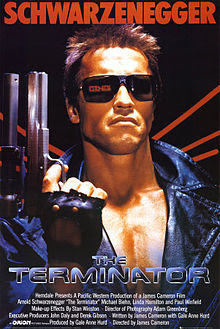 Cyborgs, time travel, Ahnold, and some of the best action ever committed to celluloid. See Terminator like God intended, in glorious 35mm, projected on a 50-foot screen while drinking a delicious beer inspired by the series.